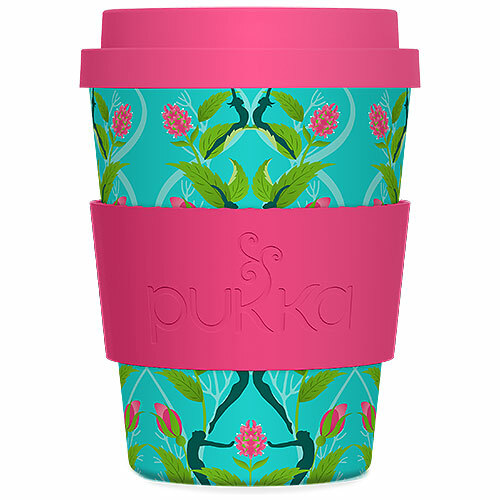 Pukka have created these re-useable cups, made from natural, rapidly renewable bamboo fibre, these cups will take you on thousands of journeys of incredible bliss. Cup: Natural pesticide-free bamboo fibre, non-GMO corn starch-BPA and phthalate-free and melamine resin. Lid: Food-grade silicone, made from bonded silicon and oxygen. Dishwasher safe, naturally sterile, not microwave safe. The bamboo cups hold 12oz/ approximately 350ml. Below are reviews of Pukka Teas Mint Refresh Bamboo Travel Mug by bodykind customers. If you have tried this product we'd love to hear what you think so please leave a review.